So who will make the Nextus? Update: A spokesperson has stated that while LG is indeed not working on a Nexus 5, this doesn't mean it "would turn down the opportunity". Despite the general belief that LG Mobile will continue its relationship with Google by building the Nexus 5, the company's European VP has strongly suggested that this isn't the case. During a discussion, Won Kim said that he doesn't believe the company will be building the next Nexus iteration, saying that LG "does not need such a marketing success again". 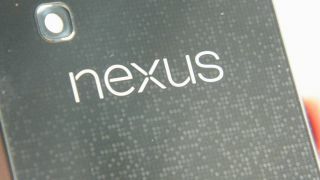 Oddly, this contradicts a report by The Korea Times earlier this month that LG was working on "another Nexus-branded Google Android smartphone," though of course this could just have been referring to the white Nexus 4, which has just been announced. As to whether LG would do a Samsung by releasing its own Google-edition phone, Kim said that doing so "has no added value for us without our own skins". Whether any of this is down to the supply issues that plagued the launch of the Nexus 4, and resulted in both LG and Google blaming one another, is unknown. However LG has added that even though it is not working on a Nexus 5, it would not turn down the opportunity to work with Google again. But for now, LG doesn't feel as though it needs the Nexus to survive. But that's ok, because we have a white Nexus 4 that's exactly the same!